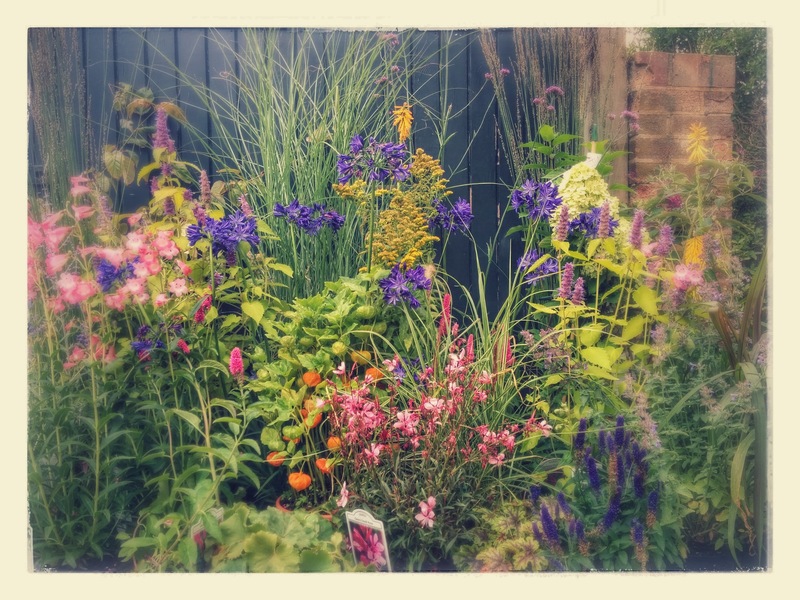 A gardening blog with the odd bit of cookery. This year started so well, I don’t think I’ve ever been so prepared with the raised beds or kept the grass so well ordered (thanks to the earlier moss killing and scarifying sessions), but what started well has all slipped down hill rather swiftly as time has gone by. For the first year ever, I’ve hardly used any of the berries. The blackcurrants and gooseberries both went to the birds. The cherries, though, were eaten by us, as where the alpine strawberries. The apples, which I’ve managed to grow in decent amounts for the first time ever on my family apple tree have mostly dropped off, just as I thought to go pick them, are now laying bruised and rotting on the grass. On the plus side, I did manage to pick the redcurrants and hand them out to friends, they were too glorious to waste. I’m amazed (as I always am) at how quickly the weeds take over if neglected for even a short time. We were lucky to get a few days on Yorkshire, a couple of weeks ago, during which time there was some much needed rain down here in the south and when I finally went into the garden to do a tidy up last week, I couldn’t believe how many weeds had taken hold. I’ve resigned myself to just trying to keep on top of things by pulling any heads off before they flower and removing the stems when I have more time. 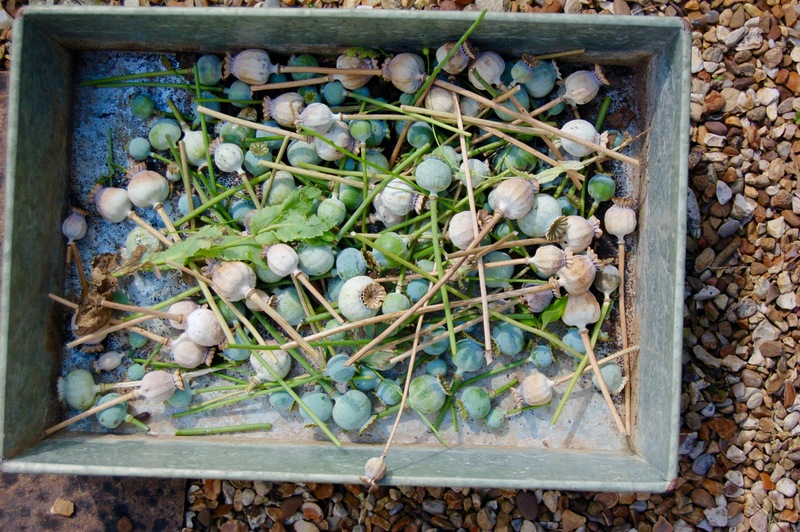 I’ve done the same with anything I don’t want to self seed next year, such as the poppies. I’m happy for them to grow, as they are lovely, but I’ll make a point of scattering the seeds in places I want them permanently to be, instead of their growing like crazy all over the place. The biggest success of this year has been growing the flowers for cutting in and around the vegetables (instead of in separate raised beds). This was mostly down to my not making a plan and just planting up seedlings as and when they were ready in whichever spot was free, but it’s kept all the beds ‘interesting’ to look at, over a longer period. Of the new flower seeds I planted, the Rudbeckia ‘All Sorts Mix‘ has been the greatest success, I’ve always struggled to germinate Rudbeckia in the past, I have no idea why, but this year they went well and their lovely bright pop of colour is very welcome at this time of year, I’m pretty sure I’ll be growing these next year to be put into the main border to add some colour late in the season. 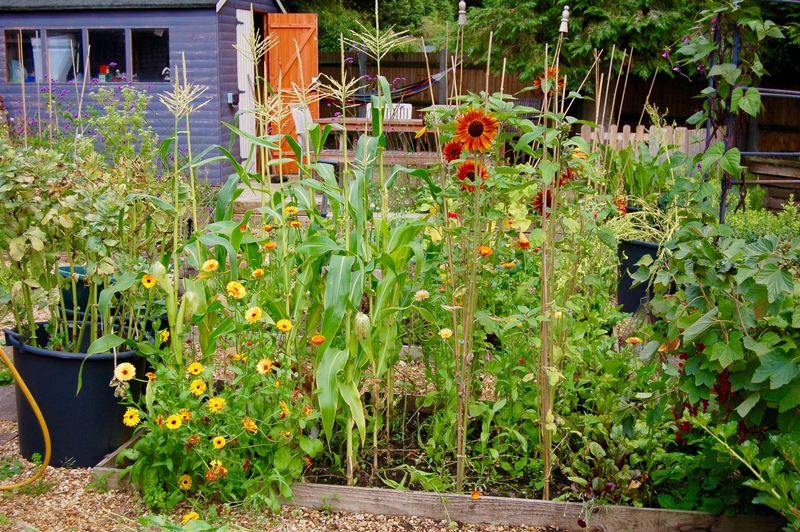 We’ve had sunflowers, marigolds, nigella, snapgragons to name a few others, all grown in rows amongst the vegetables. The end of the garden, where the veg patch is has generally been well used this year. I added two hammocks to the decking area and it’s really pleasant to sit there and look back at the house through the planting. I had to buy two hammocks to stop the boys arguing over who can sit where, when!! I’ve concentrated on keeping the decking clean and leaf free this year, another first. I hope that if I keep clearing it regularly, we wont get a build up of slimy leaves and that lovely green slippery surface that comes with them. The birds make a bit of a mess too, from one of the trees they like to sit in so I’ve kept that area regularly scrubbed down. The table and seating was power hosed down at the beginning of the year and I’ve slowly worked through getting a good coat of oil on it all. 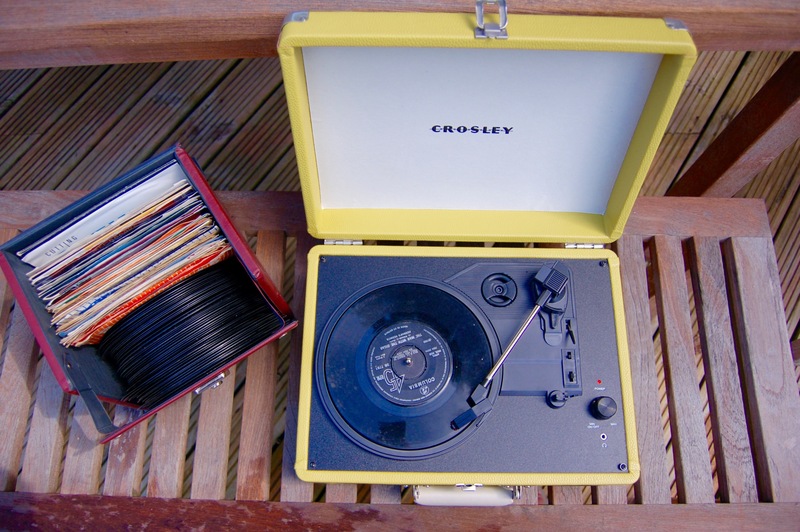 whilst listening to old records on my portable player…the boys quite like the old rock and roll ones but were less impressed by my Nik Kershaw tracks. 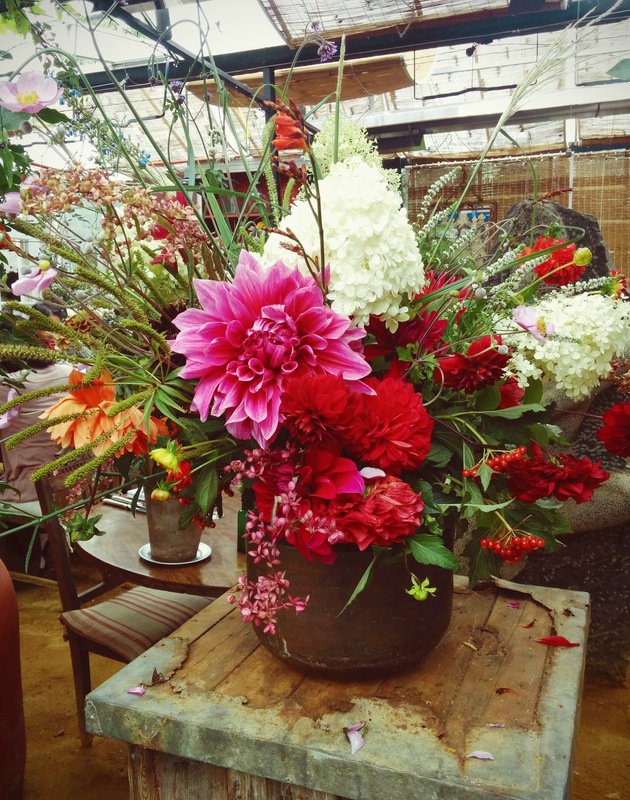 I was lucky to be taken to lunch at Petersham Nurseries last week, by my Sister. It was heavenly, the food was fresh, tasty and amazing. We both had grouse for our main course, served very simply with chard, sweetcorn and new potatoes and I have to say, it was the best tasting grouse dish I have ever had, cooked to perfection and just delicious….I would show you a photo but I was too busy enjoying eating and looking at the equally lovely surroundings, besides, I do feel a bit of a prat photographing my food (I did take a single photo of the radish nibbles though, but not until after we’d eaten half!!). The visit made me want to grow dahlias again, I’ve had a bit of a break from them here, but it was the main flower used for arrangements and on show in the garden when we visited. Back at home, I can’t help but notice the interest in healthy eating recipe books at the moment. I think it’s partly to do with my age and the age of my friends, we’re all busy attempting to look after our bodies as the reality that we aren’t spring chickens any more sinks in. The latest to be added to my collection is Helmsley Helmsley ‘The Art of Eating Well’ which I mainly bought because I wanted to make Paradise Bars. Oh. My. God. Best thing ever. 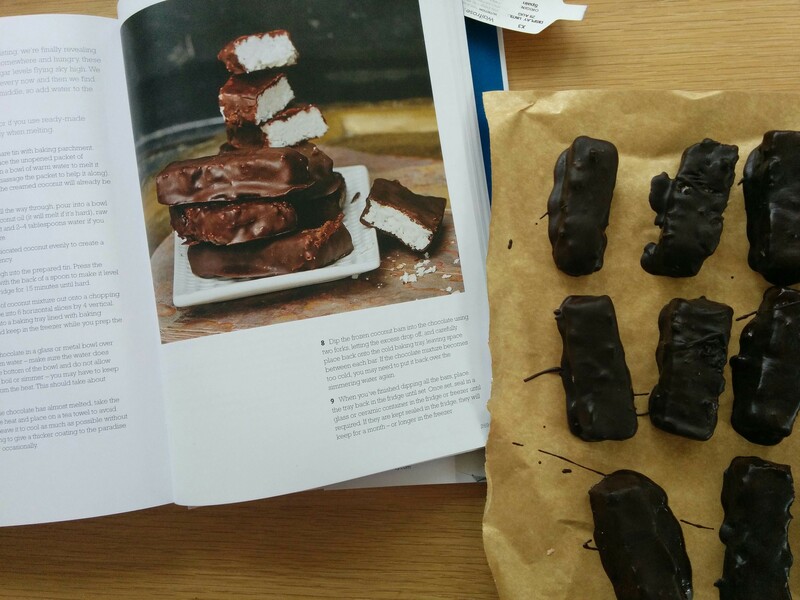 Like top quality Bounty bars, although like many healthy recipes, I have to remind myself that just because the ingredients are ‘good’ the bar itself is still very calorific, even if it is all good fat, so I need to not chomp them all in a week. Which is hard. Off to get one from the freezer now! 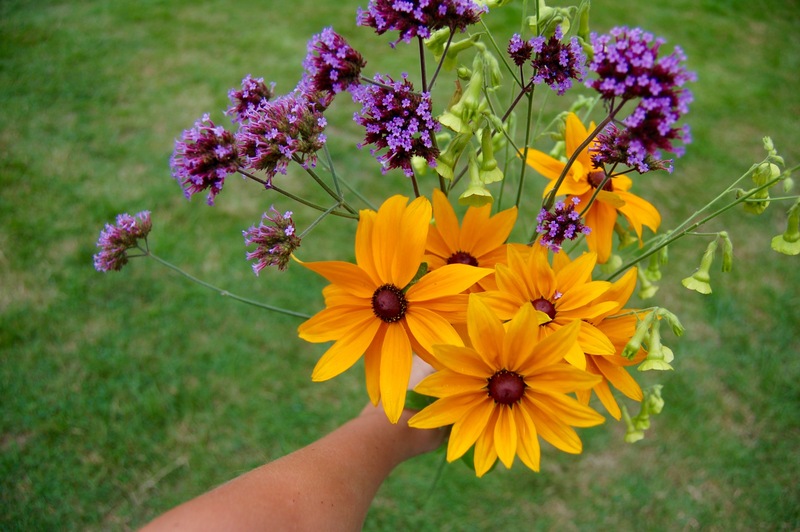 This entry was posted in cooking, flower garden, vegetable garden and tagged cut flowers. Bookmark the permalink. 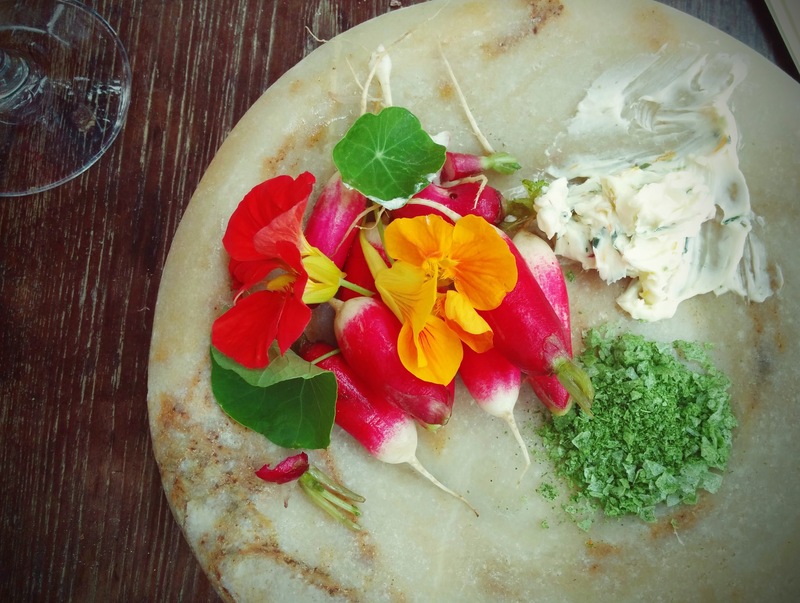 As I am always curious about people’s food, is that herb butter with the radish? and what is the green thing also on the plate? Chickens: Oops, I did it again!